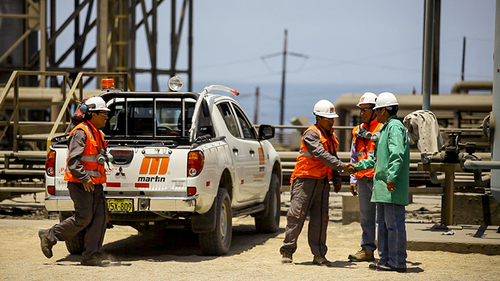 Our quality products and the services provided by our team of specialists will help you ensure that your plant is cleaner, safer, more efficient and more profitable. Increase profitability by optimizing productivity and reducing waste. No matter what type of operation you manage, your primary goal is profitability. You have to keep your plant running efficiently, keep waste to a minimum, reduce energy costs, contain material, prevent dust and more. As a plant manager, you are held accountable for moving as much product through the process as you can – as quickly, safely and efficiently as possible – while managing your costs. In most industrial operations, there are a wide range of problems that can eat away at profits. Whether it's the premature failure of a belt, motor or other equipment due to dust or material spillage, or the erosion of productivity due to plugged chutes, spillage or carryback, the result is decreased profits. Unsafe conditions are another drag on profits. Lost-time injuries (LTI), regulatory agency fines, insurance costs and potential legal liabilities are to be avoided. If you're experiencing unscheduled downtime or a need to lower your energy or housekeeping costs, talk to one of our experts. We're standing by ready to listen to you as you describe your operation and then offer recommendations on how you can boost your bottom line. Our technicians and engineers are available to provide expert advice and assistance on all of your bulk material handling questions and problems. Scrape belts clean at the head pulley. Eliminate carryback and spillage with our belt cleaners. Eliminate the risk of explosion and other health hazards by controlling dust. Prevent buildup on interior walls with bursts of compressed air. 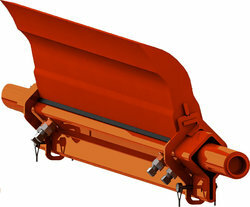 Unload bulk materials from railcars safely, quickly and thoroughly. Keep conveyor systems precisely aligned and working perfectly. 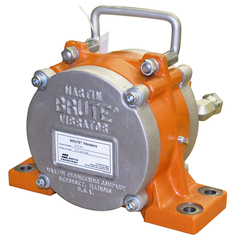 Keep bulk solids flowing through chutes, hoppers, silos and more with vibration. The release of airborne dust can cause health concerns and create negative attention from regulatory agencies. 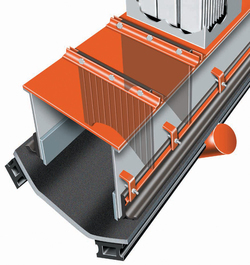 Any material that spills off the conveyor is a loss - loss in material, profit and efficiency. The spillage also creates the need for manual cleanup which takes man-hours and is a dangerous task - putting workers in harm's way. Save With Our MartinPLUS® Walk the Belt™ Service! 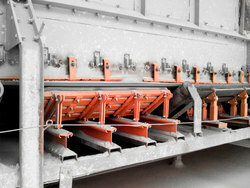 Every conveyor is different, even within the same facility! 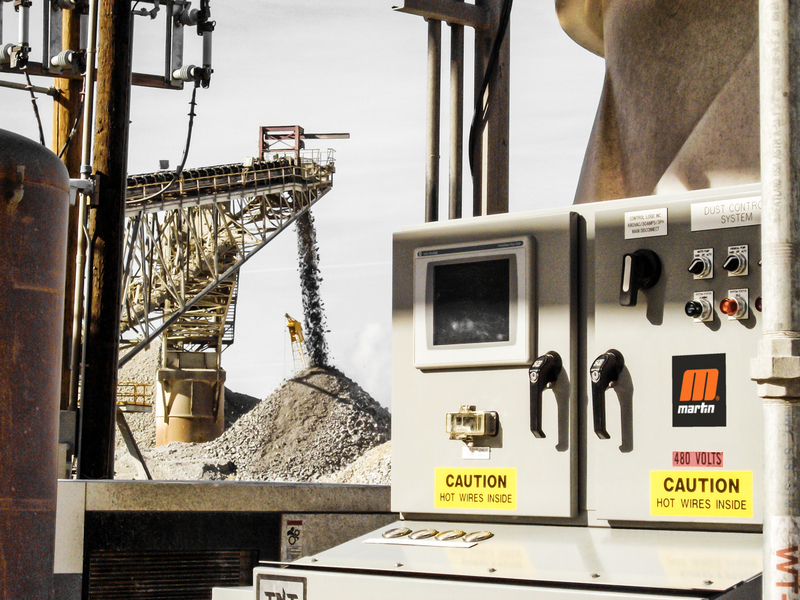 We can provide regularly-scheduled reviews of your bulk material handling system components, involving a specialized crew with the expertise necessary to achieve high operating standards, keeping the conveyor system running at maximum productivity. Immediate data and photos will be available to facility managers and our suggestions will ensure long-term savings and efficiency. Get Your Belts Reviewed By People Who Know What They’re Looking At -- At No Charge! 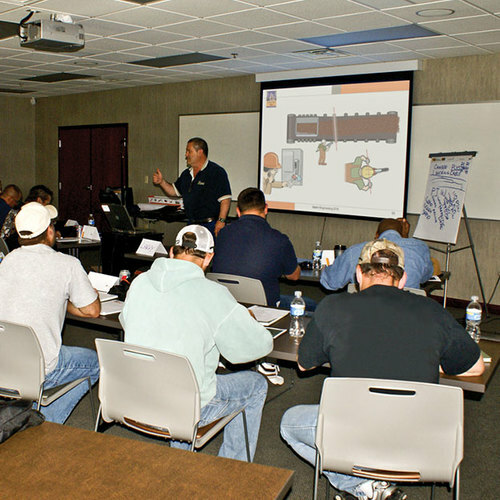 Foundations™ Training workshops train your plant operating and maintenance personnel and engineers about belt conveyors – how they work and how to make them work better. 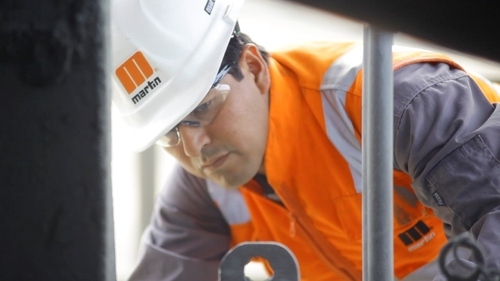 From a Basic Introduction to belt conveyors and safety to an Advanced Training option for your skilled and experienced members, Martin will share our 70 years of experience and research with your team members. 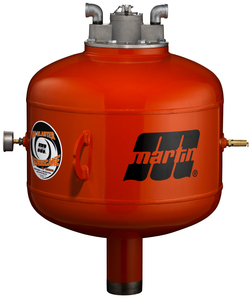 You can't afford not to educate your team with Martin! 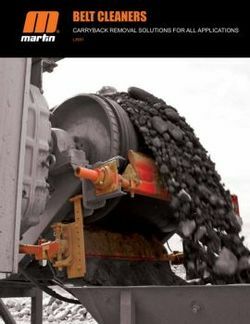 Looking for in-depth information on belt cleaning solutions? 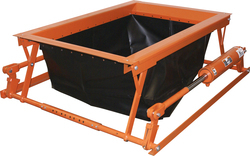 Our brochure includes carryback removal solutions for all applications. Want to improve safety at your facility? 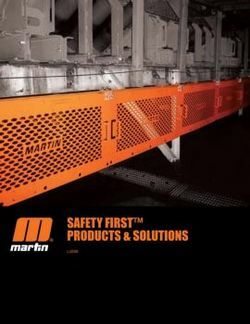 Our brochure explores common hazards, solutions, and products to enhance plant safety. 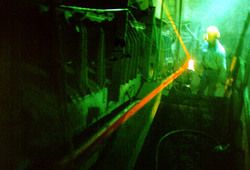 Laser surveys pinpoint conveyor component misalignment problems. Our technicians correct and improve them to optimize your conveyor's performance.